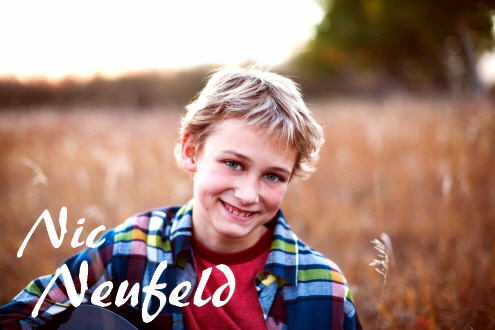 Nic Neufeld Rocketing to Success! Nic Neufeld was first introduced here on Rivenmaster’s Place on February 8th of this year. 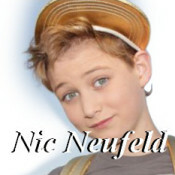 Shortly after his article was published it was read by Joel Greenberg an executive for a new company in Los Angeles who called Nic and extended an exciting invitation to come to California and record a song/jingle for them. Nic was going to be the face of Twistflix. While his parents were a little apprehensive at first they soon realized that this was a legitimate offer and decided to head down to LA to meet the team of professionals. It was the first week of March when they arrived at the studio without really knowing what to expect as Nic hadn’t heard the lyrics or music for the commercial yet. The writers and producers of the jingle are Nathaniel Levingston and Christian Lopez, A&R for The Jackie Boyz. The first line into the commercial Nate & Christian kind of stopped and shook their heads, auto tune wasn’t needed and it was then that they asked if they could work with Nic. During the recording of Nic’s first song, Nic was surprised by a visit from the Jackie Boyz who dropped by the studio to see how things were going. They had not yet heard Nic sing and wanted to hear and meet him. Nic asked if he could sing for them and chose the song “Love Me” which they had written for Justin Bieber, and proceeded to sing it acappella. 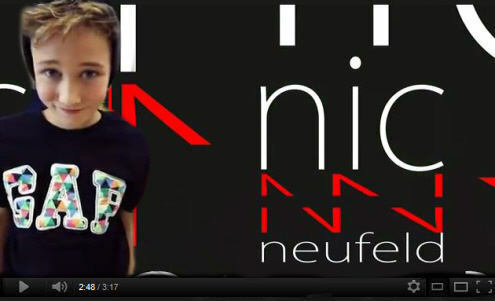 After leaving the studio they later phoned Nate saying that they would love to work with Nic and write a song for him. Rivenmaster’s Place is always happy to find new young artists to introduce to our readers. I think one of the greatest joys of working this site is being able to follow some of these youngsters from the very beginning of their musical journey, and watching their progress along the way! While some take off like rockets other just slowly plug along gaining invaluable experience, honing their musical prowess as they go! 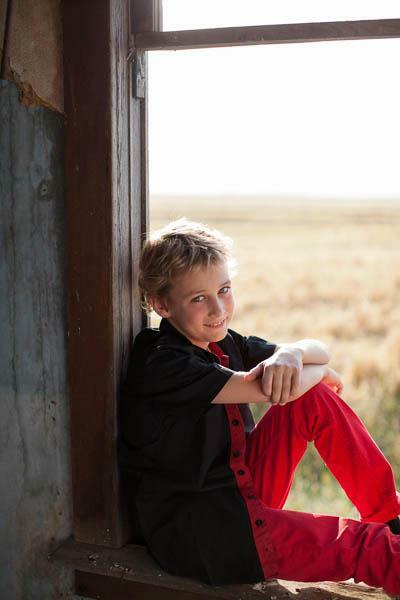 Eleven year old Nic Neufeld lives in the very small town of Dodsland , Saskatchewan. By small town, I mean a population of 200 people. 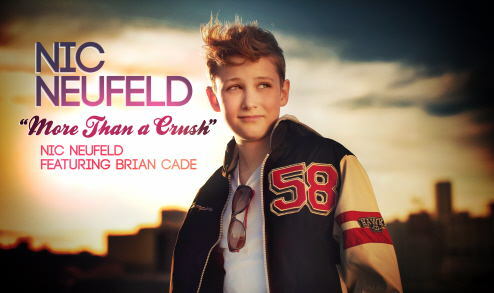 But there is nothing small about the talent or the drive that Nic Neufeld demonstrates to succeed as a performing vocal artist. 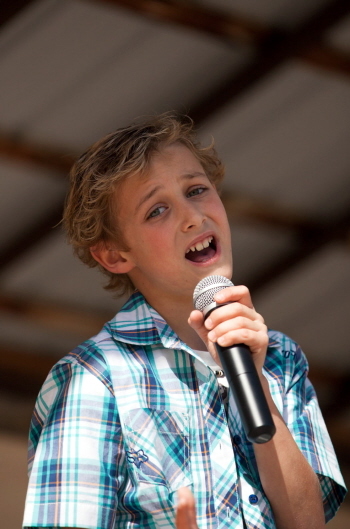 Nic has been singing since he was able to talk, often performing for family and friends. When younger, Nic would walk around with his microphone and toy guitars. Even as a baby music was a comfort to Nic. If he was crying, his parents would turn on music and he would immediately stop. At 3 years old he would walk around the house singing his favorite Wiggles, or Backyardigans songs. 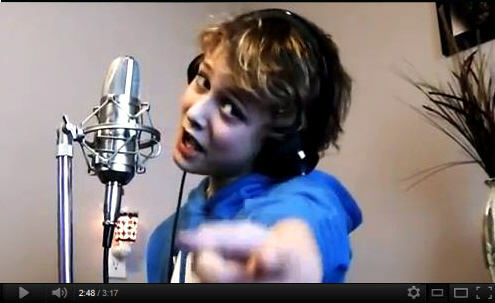 When YTV began playing Justin Bieber videos, Nic became and instant fan. Nic’s parents enrolled him in piano lessons but soon found that he just wanted to play, not really enjoying the structure of lessons. While they encourage him to continue, Nic only wanted to play by ear. At 6 years old he stopped taking lessons, but continued to sing and just have fun on the piano.